Today I have a special guest post by Francie Healey. She's the author of Eat to Beat Alzheimer's. 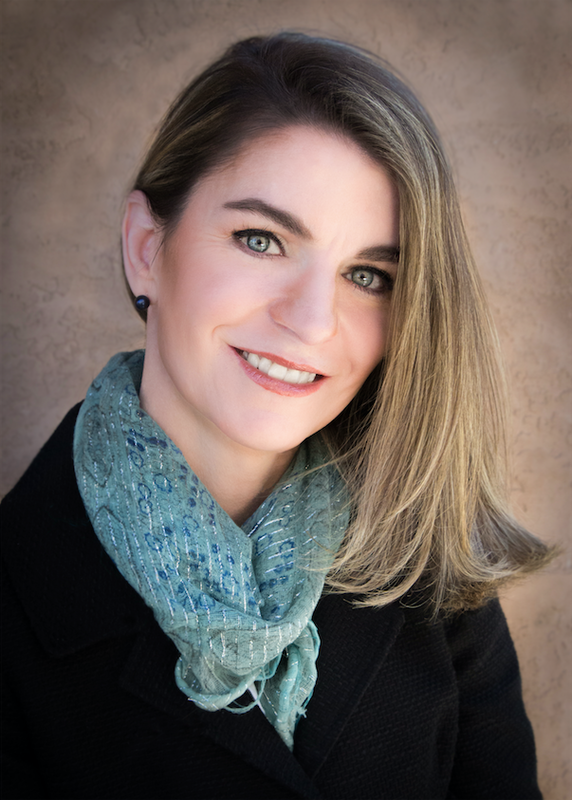 Francie Healey is a licensed mental health counselor in private practice in Santa Fe, N.M. She specializes in the psychology of eating, helping people with health conditions to develop conscious eating habits and understand how food contributes to healing. Using her expertise to help clients manage cognitive decline through nutrition, Francie educates them on meal planning; the creation of simple, nutritious meals; and other keys to achieving a healthy relationship with food. She holds a Master's Degree in Counseling, and is a Certified Health Counselor and a Licensed Mental Health Counselor. Eat to Beat Alzheimer's offers a practical guide and an empowering tool to bring nourishing, healthful, and delicious food into the lives of people concerned about Alzheimer's and other cognitive problems. Almost 9 million people in the U.S. suffer from Alzheimer's and other forms of dementia, and the toll is rapidly increasing. This book will appeal to everyone concerned about dementia and memory loss in either themselves or a loved one. Recent research makes clear that the impact of aging on the brain can be reduced by simple diet and lifestyle modifications. 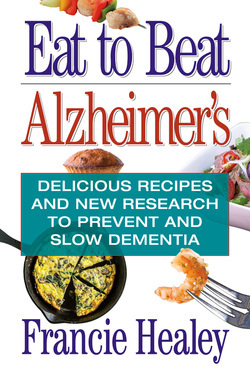 The delicious food choices and easy-to-prepare recipes in this book are based on the latest findings showing that they can help slow the progression of Alzheimer's and other conditions like it, or prevent them entirely. In the book, I write about our relationship and what he meant to me. My step-father was an important figure in my life, and when he was very ill, and dying, I went to spend time with him while he was in the hospital. And although he was very important to me, I was never sure how important I was to him. In other words, he didn’t make much effort, perhaps didn’t know how, to connect with me on a deeper level. That is, until we were alone in the hospital. One of the things that came up in that conversation was a kind of mutual respect for each other. I think he really got something about me then, when he was ill, that I understood something about health and wellness and my passion for promoting this and sharing this with the world. He was actually the one that suggested my focus be on Alzheimer’s, saying that it was needed. In that moment, I felt that he was drawing a connection for me, between what I had to offer, and where I could begin to offer it. Before then, I hadn’t been quite so sure, or quite so specific. He helped me focus and motivate in a way that I hadn’t been able to do until then. So that prompted me to research and explore the topic and when I started to look at the science on nutrition and brain health, I felt even more compelled to write a book that would share this education with everyone and also provide good recipes as well, so that healthy eating for healthy brains was something accessible, understandable and completely doable for readers. Eat to Beat Alzheimer’s basic premise is about prevention and self-care, right now. I think so many of us are scared of disease and illness, especially something like Alzheimer’s, a disease that takes away our basic capacities and memories, and our connections to loved ones. I wanted my book to be a way through that fear, to the other side of it, into an empowered, educated and action-oriented state with our health and wellness. I believe that the more people understand about our brain’s health, or decline, and the effect of our diets and lifestyle on our brains that they are more likely to make informed choices and have a positive impact on the trajectory of their lives. Essentially, the root causes of brain decline come down to inflammation and toxicity in the body and brain. It’s true, that there are a majority of culprits contributing to this, many of which we can’t necessarily control right away. However, what we eat plays a powerful role, and is something that we can manage. The standard American diet is loaded with high sugar foods, highly refined foods, and high levels of omega-6 fatty acids (too much creates high levels of free radicals, or toxicity). It is my sincere hope that Eat to Beat Alzheimer’s can be a way out for people from the standard American diet, into a way of eating that incorporates unrefined, nutrient dense, medicinal, whole foods. In my work as a health and wellness counselor, so much of the process around diet change is about clients feeling empowered enough to make the necessary changes they need to for their own health. Part of the empowerment process is definitely about education. Eat to Beat Alzheimer’s is first and foremost, a nutritional science text, outlining why diet changes are important and necessary for overall health and the prevention of brain decline. Secondly, it is a cookbook, which to me, is a way to put education to action. Woven throughout Eat to Beat Alzheimer’s, is also a message of worth and self-value. As a counselor and an author I am always encouraging my clients and readers to self-reflect and to pay attention to what is nourishing them, and what is not. This is not a simple task, but an ongoing learning and investigation. To me, it is worth having a continual dialogue and conversation because we are often bombarded with external expertise that can be conflicting. I aim to find a communion between sharing quality research and prioritizing an individual’s personal experience and inner knowing when it comes to what is truly needed for health and wellness. Not only that, but this research is emerging and while I know Eat to Beat Alzheimer’s is going to be a really great start for a lot of people, our collective understanding about brain health and overall health as it relates to nutrition, is constantly evolving. I wrote Eat to Beat Alzheimer’s so readers can have a place to begin, but it has also served as a starting point for me. It is my first book, and I’ve got plenty more planned! It has grounded me deeply in the research and the current findings, for which I am very grateful. I am more aware now than ever about the importance of continual learning, both for my brain and the integrity of my work. And it is an important area that I want to be a part of, to help awaken myself and others to the power of our everyday choices; to be a reminder that what we do, what we think, and how we eat definitely matters and we are all in a position to turn the tide of illness, to transcend our collective fears and move into being empowered, knowledgeable students of wellness. Learn more about “Eat to Beat Alzheimer’s” by Francie Healey and check out today's guest post by her as well - guest post titled "Energizing Baby Boomers". You won't want to miss this stop! Beverley A Baird reviews Francie Healey's cookbook "Eat to Beat Alzheimer's" - check out Beverley's blog and her thoughts on this excellent new publication! Lisa- thank you so much for hosting today's blog stop. I always love popping by your blog and seeing your smiling pic!